Robert L. Garramone or “Pete” as he is known in the racing community took up photography right out of high school. 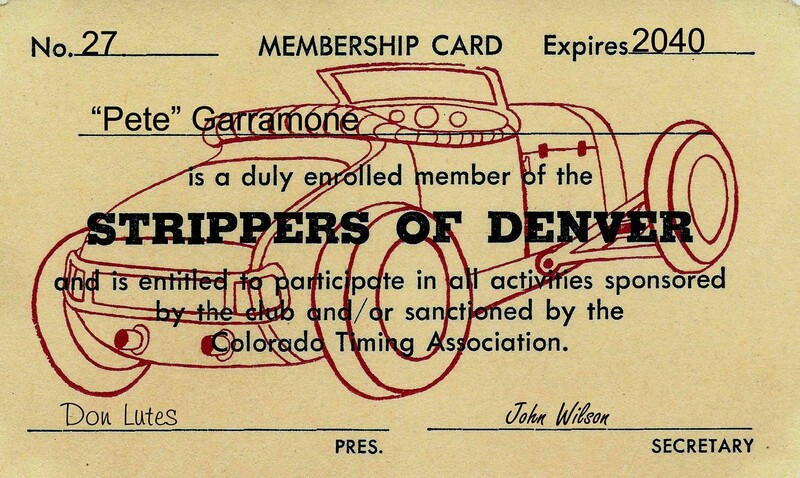 He joined a hot rod club and went to his first drag race at a dirt strip East of Colorado Springs, CO in 1953. 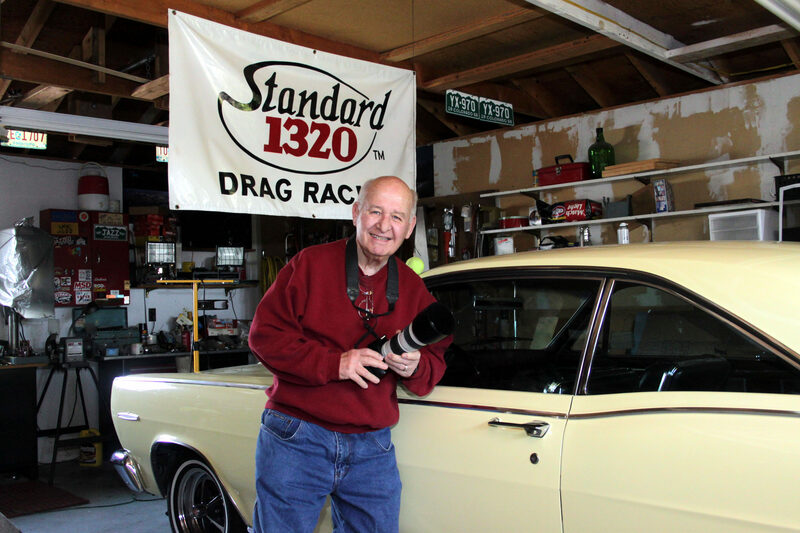 He bought a ’33 Ford five window coupe with the idea of re-building it and go racing. It didn’t take long for "Pete" to understand that he didn’t have the funds or the know how to build a competitive drag car. The next best thing was to sell the car, buy a good camera, build a darkroom and learn how to take pictures of fast cars. 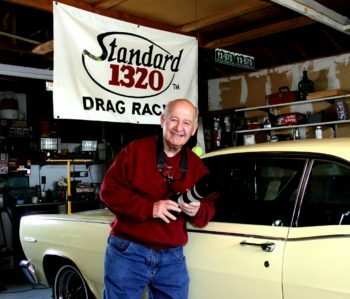 A self taught photographer with a passion for drag racing, "Pete" began writing articles for magazines. You will see a full publication list by choosing the link at the at the end of this page. "Pete's" first article was sold to “Cars” magazine in July 1965. Soon after, he was given a press pass from another magazine and he was “off to the races”, pun intended. He shot with a Pentax H-2 35 mm camera using a 200 mm Takumar lens for the action and a 28 mm lens for still shots. Ekrachrome for color and Kodak Plus X for B&W. The camera was strictly manual. No light meter, no automatic focus, no automatic anything. Fastest shutter speed was 1/500th. Drag strips didn’t have guard rails in the '50's-'60's so "Pete" stood out on the asphalt for many of his pictures. He learned to pre-focus, keep both eyes open, get the shot and quickly back pedaled off of the track. All of "Pete’s" articles were sold to East Coast magazines and by 1970, "Pete" started to back away from the sport. “When they started doing burnouts was when I decided to leave the sport” said "Pete". I asked him why? He stated that "burnouts were a waist of time and there was no need for them". He said there is no real benefit to firing up the tires. "Pete's" film sat in his archives until the internet came on the scene, whereupon "Pete" had all of his film scanned by Kodak into high resolution images. Then he formally copyrighted all of them. “A couple of internet friends told me that my images have some great value, said "Pete", and I’ve found that there are a lot of authors looking for the kind of photos I took”. “Rodder’s Journal” contacted him and ran an 18 page spread in the magazine (Number 27) in 2005. 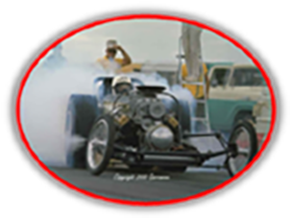 His pictures can be seen in many CarTech books focusing on early drag racing plus NHRA’s “The Fast Lane”. Recently published is the Lost Drag Strips II by Scotty Gosson. "Pete" is now 81 years old and is continuing to take great photos. We are proud to give the website a new "lift" into the future.